More recently held celebrations devoted to the 25th anniversary of the fall of the Berlin Wall. 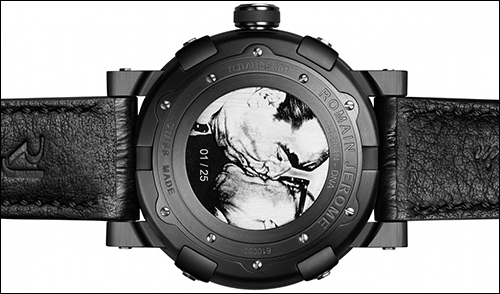 Watchmaker Romain Jerome addressed this historic date a special limited edition model of Berlin-DNA. 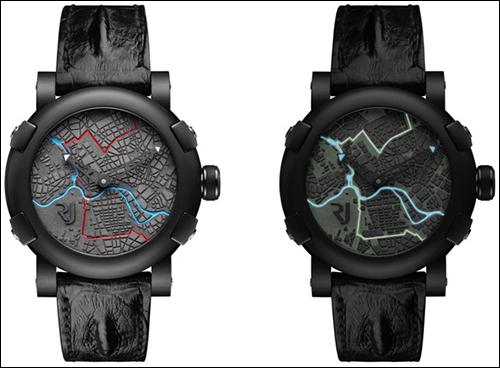 And, of course, the main role is played by the clock design, developed in collaboration with the Berlin East Side Gallery. 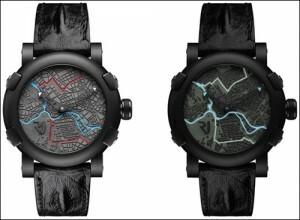 On a gray dial located three-dimensional map of Berlin. Notice the red “ribbon” – this is the location of the wall. At night, a red bar is transformed into a green fluorescent line. Blue highlighted the river Spree. But that’s not all that reminds us of the Berlin Wall. Turn over and see the clock on the back of the painting “Brotherly Kiss” Dmitry Vrubel. That the body contain all the nuances of design, it did a pretty impressive size – 46 mm diameter. Model released in a limited edition – only logical that this is just 25 copies.